Due to the world wide availability of the apps in the android market, this page is only in english. This app is a live wallpaper for all android devices that run at least version 2.1 and have the live wallpaper feature enabled. It shows the sky with time dependent colors and several clouds that move from left to right. The time of sunrise and sunset can be set manually or calculated for the configured location (latitude and longitude). For the background, the sun or moon can be enabled. 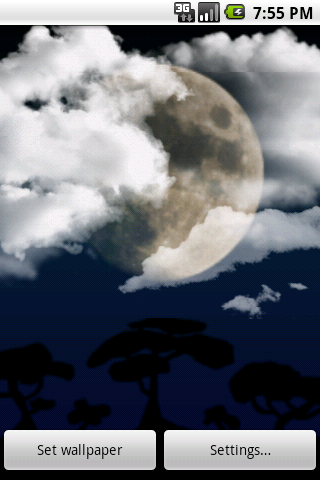 In addition, Cloudy Sky Live Wallpaper provides several silhouettes to be added to the bottom of the screen. Set the latitude and longitude via GPS or network location. NPE in the settings and drawing fixed. Added an option to set the size of the clouds (from 30% to 100%). Added an option to set the amount of clouds (from 30% to 100%). Added an option to set the size of the sun and moon (from 30% to 100%). Fixed FC when updating from 1.4.x version and try to enter the settings screen. Several bugfixes to ensure that the live wallpaper will run on Android 2.1 devices again. Replaced the setting for the custom background image with the system gallery. Better quality and scaling of custom background images. Several bugfixes to prevent crashs and force closes while activating the live wallpaper. Improved the quality of some clouds. Background now checks automatically if a switch to night mode is required (Until now the phone must have been locked and unlocked). Hint to set the location added for the preview mode. Improved the performce while sliding/scrolling through the home screens. Smaller size of the installed app. 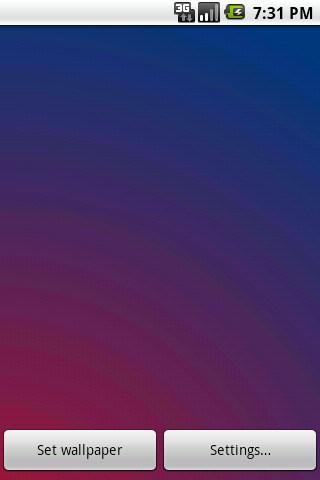 A colorful gradient is painted in the background. 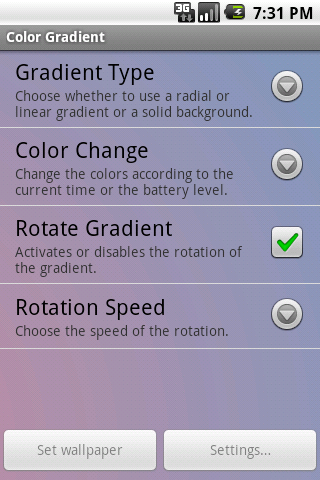 It can be configured whether to use radial or linear rotating gradient or a solid color. The color changes through several predefined colors. The color set is choosen according to the current time of day or the battery level. 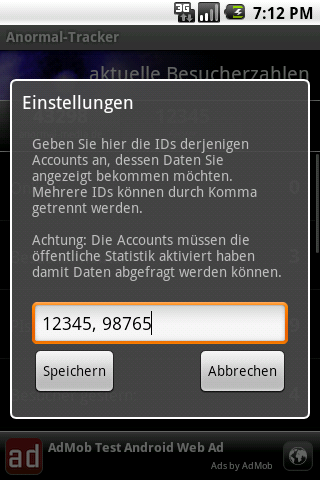 This app is an additional tool for users of the free german service anormal-tracker.de. It is designed for all android devices that run at least version 1.5. 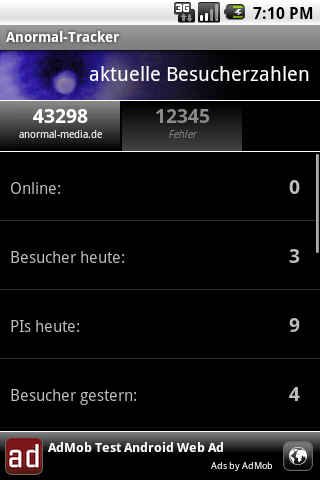 The Anormal-Tracker app shows the website statistics of one or more account. The accounts and reload time can be configured in the settings panel (Menu - Settings). If no data could be fetched, please ensure that you have entered the correct userids and you have activated the public statistics in the account settings.